At least, with today’s announcement of their engagement, there will be a Royal my age who has sound fashion tastes (YES!!!!) and great style (Who made that gorgeous blue dress she’s wearing? It’s stunning!). 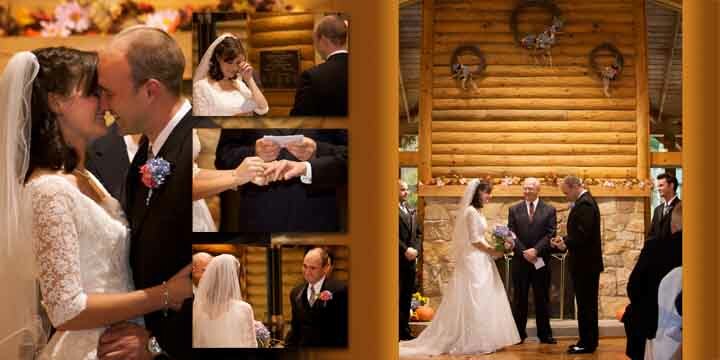 Can’t wait to see her wedding gown … Maybe Joe and I should send them a sample of our work! London would be so much fun! Working for Joe Appel Photography is a lot of fun. Not only do I get to set up and tear down lights and cameras, but I get to do a lot of behind the scenes work, too. All summer long I have been taking the beautiful shots that Joe captures and putting them into huge books. Most would call them albums, but because the photos are printed into the book and not stuck in like the 3 x 5 photos you get from Kodak or another printing agency, the work I do is extremely fun. It’s almost like a puzzle, except there are no pieces that fit together with their cut out and you can change the size of the pieces at your whim. This first album is one I recently did for Joe. The full scale of the page is 9″ x 24″ which is great. I have a half page with of 9″ by 12″ to work with but can do huge 24″ spreads should the image dictate it. This is a page out of Allison & Brennen’s Album which I did for their Christmas present last year. The album is 14″ by 14″ so I had plenty of room to play. Pages like this absolutely amaze me because, as I scale photos, I want to make sure they’re not too small, but when all was said and done, those 3 inset photos are 5″ by 7″ – Incredible. This last example is a page for an album I’m finishing up right now and has turned out to be one of my favorites. Robin DeNoma and her husband (name?) were the photographers and, even though I wasn’t there the day of, I really feel like their photography captured the day. I know there is a lot going on, but with all the bright colors, I think it works. Pages like this are great to lay out because I get to really do puzzle work – not only do I have to be mindful of sizes and shape, I have to watch out for the dreadful center line. Looking at it, you would think the book would fold in half right though the middle, but the photos are actually offset enough that the crease runs a little to the left of where you would think it would be, while remaining balanced. It’s so meticulous to lay these pages out and make sure that everyone appears in the album, but I love doing it. It’s such relaxing and enjoyable work. I was promised Chocolate Cake. And it was good. Mom has the pictures but more details on my birthday later … I’ve been a wee bit lazy with the blog because lots of things have been developing! Right now, though, I am calling the next breakout wedding dance song … I think it’s going to be Michael Franti and Spearhead – Say Hey. 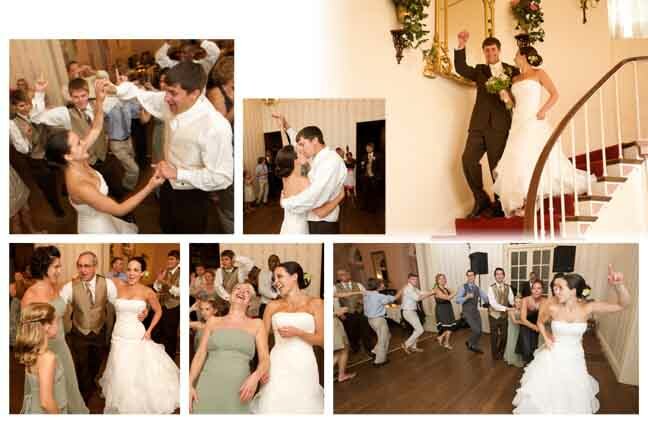 It’s really cute and has a great tempo – perfect for a breakout first dance. And plus – who doesn’t love a music video with multiple happy dog cameos? For the latest in what Joe Appel and I have been up to on Saturdays check out his website. It’s all new and improved. Like your favorite pair of shoes back from the cobblers all shined up and resoled, raring to go!